Very easy to use - cooks beautifully. Looks great, and works well. Quite pricey - however you do get a lot of microwave for your money. Offering a spacious 27 litres capacity, this flatbed microwave from Panasonic also provides a convection oven facility capable of a cooking range of between 100-250C. 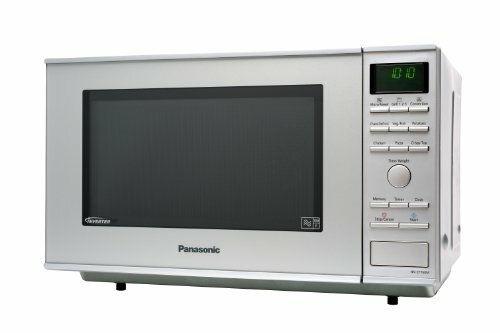 The Panasonic NN-CF760M Microwave facility features 6 different power levels, with a 1000w power output and a stainless steel lining for easy cleaning. The flatbed cavity system means it features no turntable - the food is stationary during cooking. The appliance features no less than 16 different auto programs - all of which are easy to use. For example, to cook perfect baked potatoes, you simply enter the right mode, then the weight of the potatoes, and it cooks them beautifully - fluffy with a crispy skin, using a combination of the grill, oven and regular microwave modes. Essentially this silver microwave makes cooking common foods simple, thus saving you time and effort. The controls are well labelled and easy to read, and the exterior finished in sleek silver - which will suit the majority of modern kitchens. 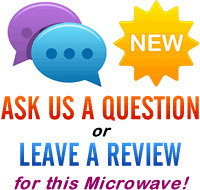 Overall we liked the Panasonic NN-CF760M microwave - it looks smart, works very well, is easy to use, and although is priced over £200, offers very good value for money. If you can afford the price tag, then it won't disappoint. Why advertise something that has a lower original price now advertised at £20 HIGHER!! This is because the retailer has increased the price of the microwave since it first went on sale – this is not down to us. Do you sell a build-in kit for this microwave and if so how much? Also, if built-in will it fit in to a 460h x 596w x 470d recess?